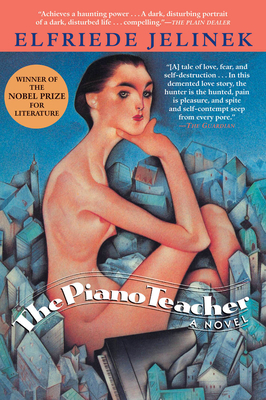 The most popular work from provocative Austrian Nobel laureate Elfriede Jelinek, The Piano Teacher is a searing portrait of a woman bound between a repressive society and her darkest desires. Erika Kohut is a piano teacher at the prestigious and formal Vienna Conservatory, who still lives with her domineering and possessive mother. Her life appears boring, but Erika, a quiet thirty-eight-year-old, secretly visits Turkish peep shows at night and watched sadomasochistic films. Meanwhile, a handsome, self-absorbed, seventeen-year-old student has become enamored with Erika and sets out to seduce her. She resists him at first--but then the dark passions roiling under the piano teacher's subdued exterior explode in a release of perversity, violence, and degradation.